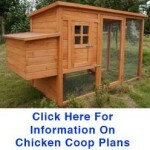 Building a home chicken coop is a systematic process which you can only deviate from slightly. Chicken coop plans cover the entire spectrum of chicken houses from small A-frame coops to enormous barns to mobile chicken tractors. 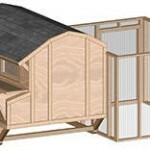 However, every chicken coop design comes with its own set of features and qualities that should be built properly for the coop to function as desired. The design is an extension of the owner’s personality and expression of how much one values their chickens by providing them a safe and unique coop. Here are some of the things to keep in mind when coming up with your design. The size of your rooftop, farm, or backyard space can easily determine the kind of coop you are going to design. Depending on your area, your chicken coop might be too hot in the summer or too cold in the winter. It is therefore imperative to insulate your coop properly since extreme weather can affect the health of your flock as well as their ability to lay eggs. You can use solar-powered cells to provide electricity and heat to the coop during winter. 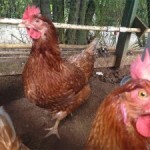 It plays an important role in ensuring proper circulation of air in the coop. It keeps out any excess ammonia moisture and ammonia build up from the flock’s feces. Accounting for sufficient ventilation will guarantee you healthy chickens. Farm Girl Chic – You can take motivation from shabby-chic style and vintage pieces when constructing your coop. A starter can be to whitewash the outside of the coop to give it a rustic feel. 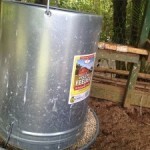 You can then add small details like galvanized containers to serve as the feeders and also a place to store the feed. You may decide to use wooden crates instead of galvanized containers to create individual nesting spaces for your chicken. Simple and sleek – You can choose to incorporate this design concept when constructing your coop. Go for linear lines to create a sense of symmetry in the overall design, and materials expressing simplicity in an elegant way such as dark-colored wood with hardware details for the structure. Coops gone green – Coop designs can transcend aesthetic requirements and make them functional. If you are a city dweller, you can give your chicken coop a green roof that can double as a planter box. You can plant herbs and add them to the eggs to make a tasty omelette. You can also use the chickens’ waste products as fertilizer and the leftover water to grow the plants ensuring that nothing goes into waste. 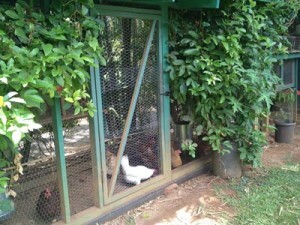 A chicken coop is your chickens’ home and you should make it comfortable. 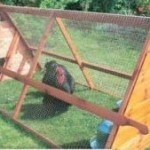 Follow sound chicken coop plans, provide all the essentials such as wooden bars for perching and nesting boxes. Keep the above ideas and tips in mind and you will build a comfortable and unique coop.